If you missed the first 1:20 of Boston’s 6-3 win over the Dallas Stars on Thursday night, you pretty much missed it all! It almost seemed like the Bruins and Stars had been tipped off that there would be some kind of power outage at the two minute mark, so they should try to get as much game in as possible early on. The first four seconds of the game featured three stoppages and three fights, and it was 2-0 Boston by the 80-second mark. Have you ever seen anything so crazy? Right off the opening faceoff, it was Gregory Campbell against Steve Ott at centre ice. With those two in the box, they dropped the puck again but this time Shawn Thornton dropped the mitts with Krys Barch for another solid tilt. After two fights in two seconds, would we finally see some hockey? Nope! Off the next faceoff, Adam McQuaid and Brian Sutherby went at it (this one was a beauty). The action didn’t end there though - Milan Lucic scored 35 seconds in and Patrice Bergeron made it 2-0 at the 80 second mark. I feel bad for the people who were late to this game! This next incident is just unfortunate – Boston’s Daniel Paille was tossed from the game for a hit on Stars winger Raymond Sawada that most definitely falls into the “blindside hit to the head” category. Sawada, playing in his first game of the season and the eleventh of his career, was chasing down a loose puck just inside the Bruins zone when Paille came across the ice and hammered him. It looks like a cover version of most of the hits seen in that video the league sent out at the start of the season about headshots. No matter what angle you see it from, the principal point of contact is the head of an unsuspecting player. Stuff like this just makes me sick. You know what the worst part is? 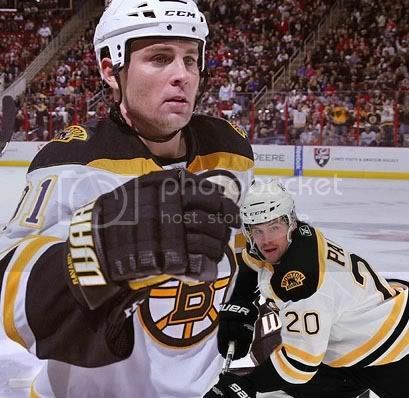 Paille shares a locker room with guys like Patrice Bergeron and Marc Savard, two players who have missed serious time because of blows to the head, and he still goes out and makes a hit like that. Paille was there to see what Matt Cooke did to Savard back in March of 2010, the effects of which are still lingering and may play a role in ending his 2010/11 season, maybe even his career. Paille must have seen how that blindside hit to the head affected his teammate, how hard it was for him to claw his way back into the lineup (too early, as it were) and then how he had to fight to get healthy again when post-concussion symptoms hit. Just recently, he saw his comrade find the sidelines again when he took another shot to the head from Colorado’s Matt Hunwick (though it was nothing compared to the Cooke hit). I don’t want to be too hard on the guy, but what was he thinking? Turn on the TV or fire up the internet anytime concussions are “trending” in the hockey world and you’ll hear plenty of critics ready to question whether or not the league is doing enough to get rid of headshots. The GMs will be discussing that very topic in their next round of meetings. Maybe they’ll form a committee or a sub-committee and perhaps someone will write a report and fill it with various recommendations. The NHL can do all of that and more, but until players show each other enough respect to not make that useless hit, it’s a lost cause. Before anyone accuses me of pushing for the “wussification” of hockey, let me just say that by no means is that the case. Nothing gets me more charged up than a big hit or a great fight. When I see teammates sticking up for one another on the ice it makes me think back to the camaraderie of any team I’ve ever played on. When a fighter lowers the boom in a tilt at centre ice, I’m on my feet with the rest of the crowd. That’s not what this is about. If you can tell me what’s “tough” about popping a guy in the head when he isn’t looking, I’ll shut up. Kerrzy’s Notebook: What’s Wrong With Ovie? Kerrzy’s Notebook: Champions League Choke! 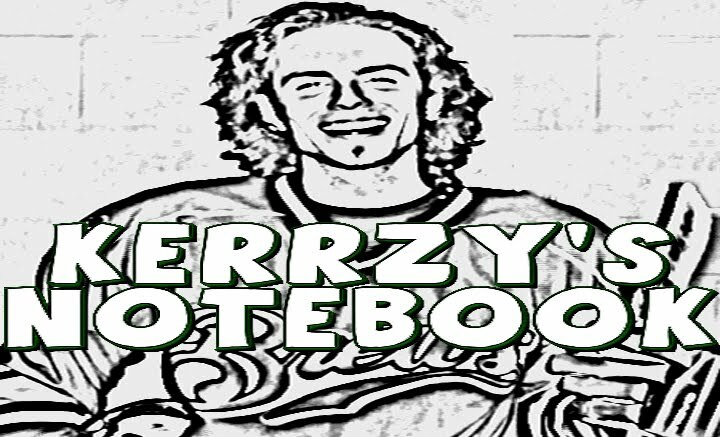 Kerrzy’s Notebook: Something in the Water? Kerrzy’s Notebook: Is Edmonton that bad?